The primary name on this bible is Baird. It is in my possession - David Shepherd divyhily@stones1944.freeserve.co.uk . 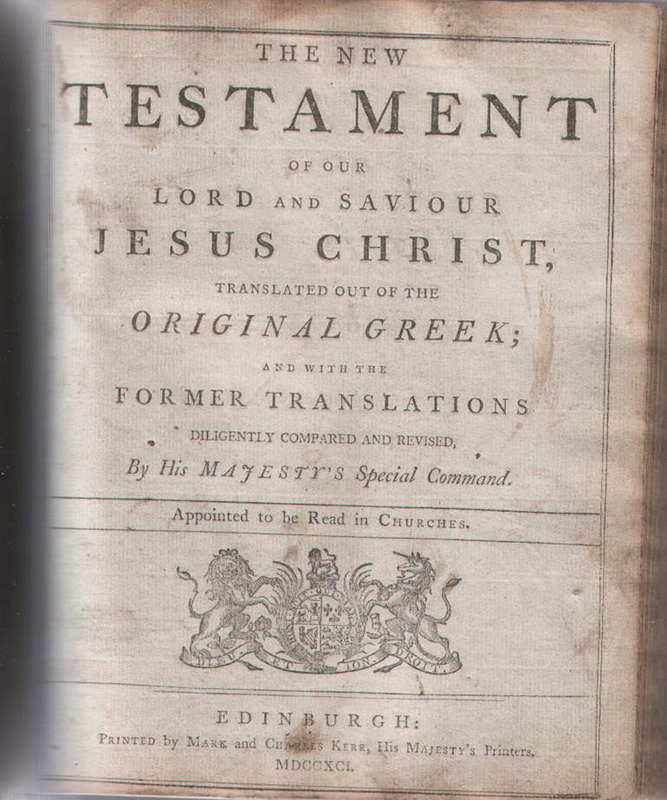 This Bible was printed in Edinburgh in 1789 (1791 for the New Testament) by Mark & Charles Kerr & the first name in the record was that of my great great grandfather William Baird who was born in Sorn, Ayrshire, Scotland, married at Loudoun, Ayrshire & died at Ochiltree, Ayrshire in 1830. This bible was passed on to me via my grandfather Andrew Armstrong Baird who features in a subsequent bible. 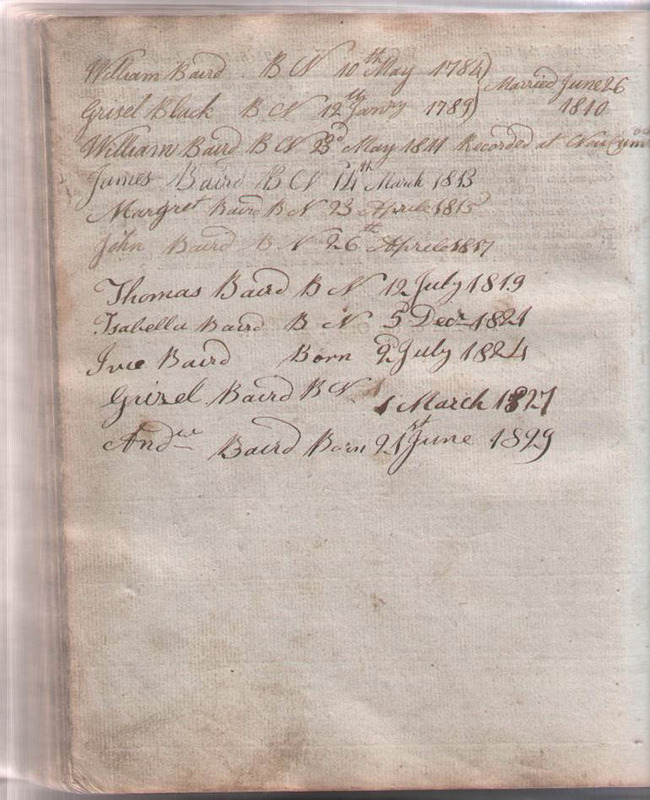 This William Baird was one of 13 children born to James Baird & Jean Miller, all in the Parish of Sorn.